I hope everyone had a happy Fourth of July! We sure did! After Vegas, we made our way to Alameda, California outside of San Fransisco. We got there on July 3rd in the morning and then had time to explore San Fransisco the rest of the day. We always joke that we are professional tourists because we always take advantage of the fun things to do wherever we are! 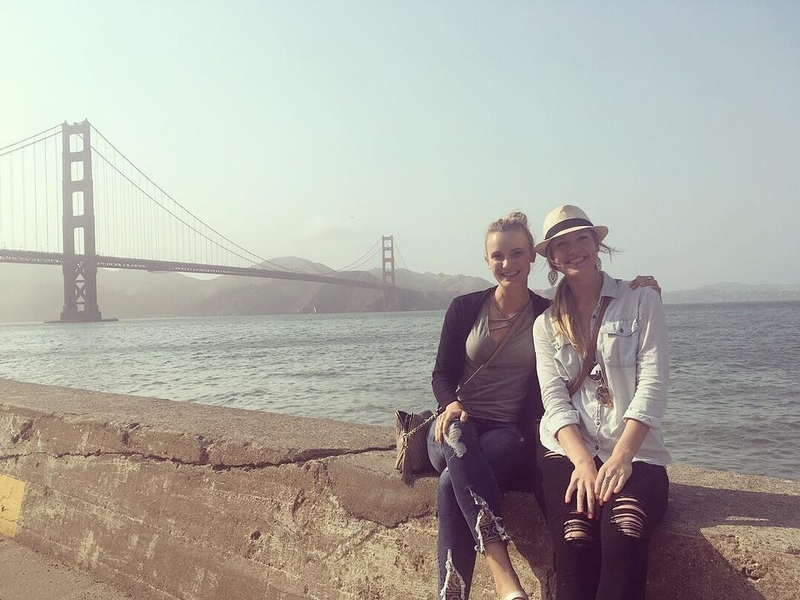 We went to the China town, Ghirardelli square, Pier 39, and of course the Golden Gate Bridge! It was a blast! The #tatertwins in front of the golden gate bridge! 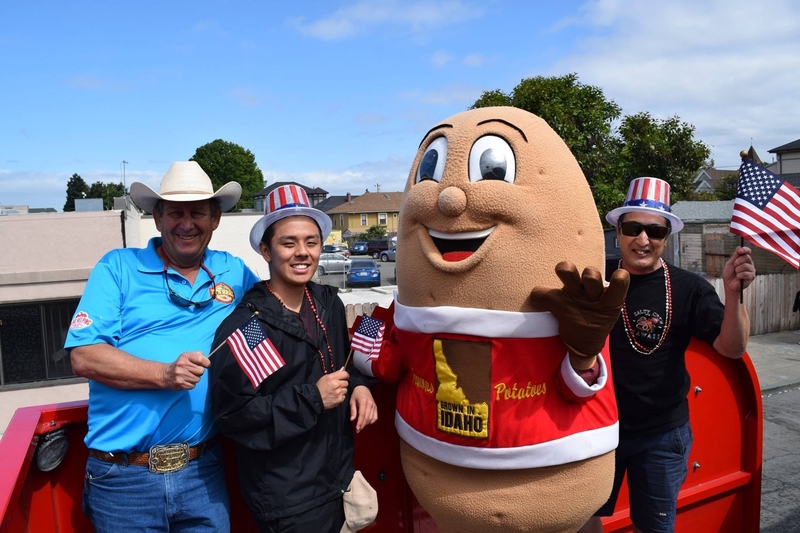 The following day, we participated in the 42nd Annual Fourth of July Parade in Alameda! 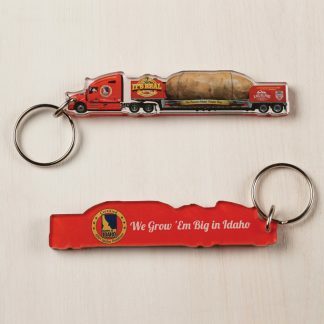 Alameda is located on an island south of Oakland right on the bay! It is one of the largest Fourth of July parades in America, and over 60,000 people were in attendance. We were accompanied in the parade by friend and super-fan, Peggy, who brought her friends and family. They were so excited and we had a blast dancing and waving to fans during the parade! Left to Right: Ron, Richard, Spuddy, and Glenn! Peggy and her family having fun during the Parade! 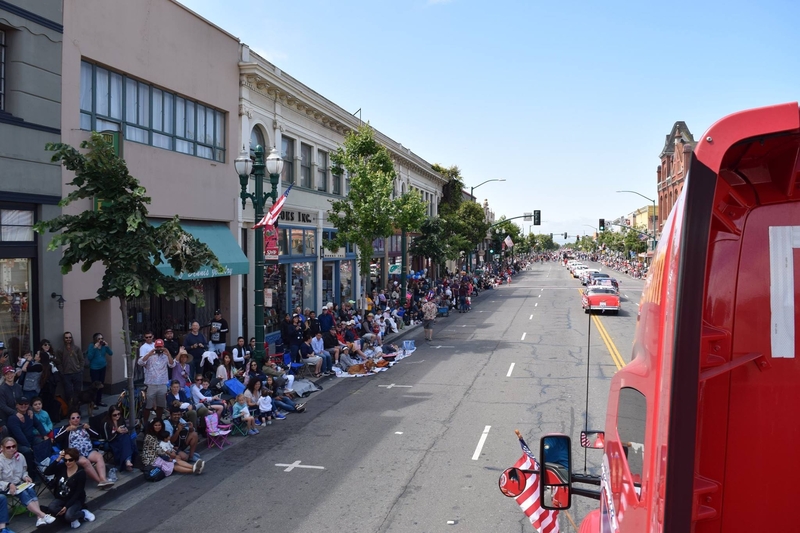 The parade route in Downtown Alameda! Fourth of July in Alameda was definitely one of my favorite events thus far! 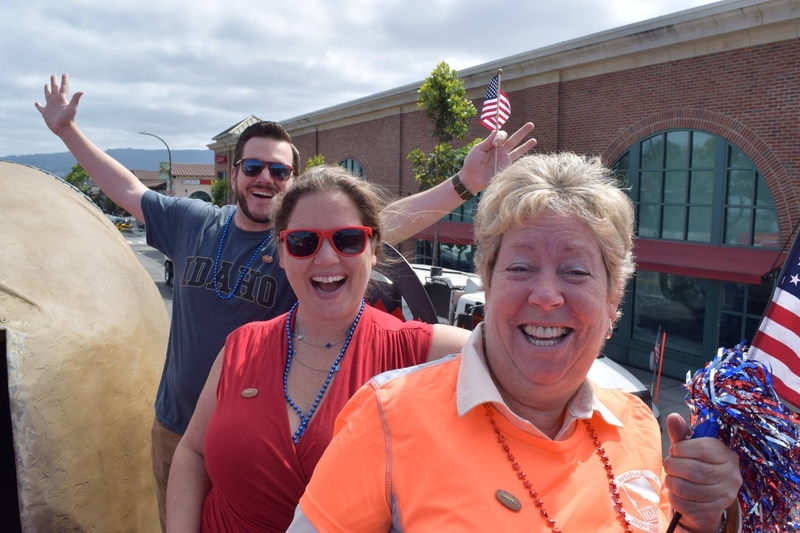 There was so much energy that day from both the parade-watchers and our friends who rode along! 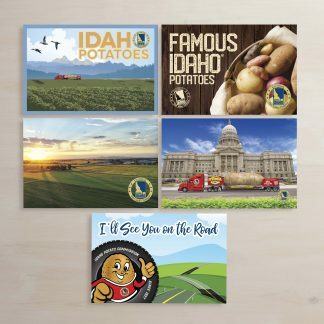 It was one of those events that makes me realize just how much joy the Big Idaho Potato truck brings to people from all walks of life. It is so amazing to see the smile it brings to someone’s faces and to hear their cheers! We truly make people’s day and I think this is why we get invited back to so many events! 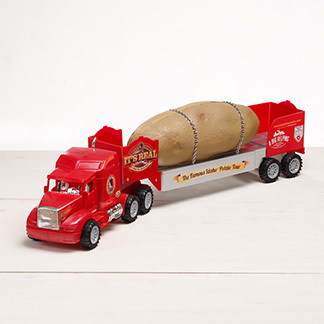 The Tater Team is truly blessed to be doing what we are doing. After the fourth, we cruised our way back to Idaho but not without making a few touristy pit stops! We stopped by Craters of the Moon, which is a national preserve made up of lava flows and volcanic rock formations. It is supposed to look like you are on the moon, and many movies have actually been filmed there. We also stopped by a cute, little restaurant called The Little Camas Inn. It doesn’t look like much, but the views from the back patio and food are to die for. 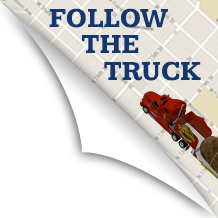 We made it our mission for the rest of the tour to post on social media about our little stops more so stay tuned! 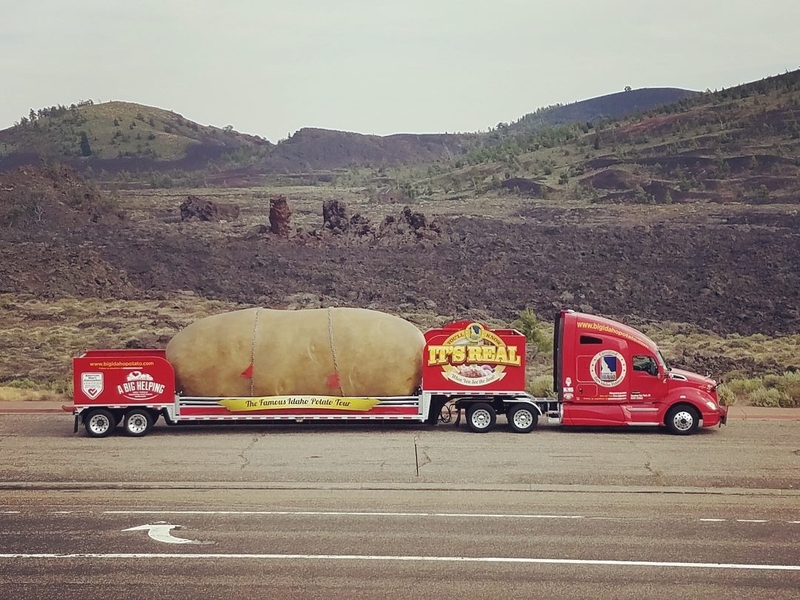 The #bigidahopotato at Craters of the Moon!